COMMENT | I read the latest fulminations by Najib Abdul Razak with shock and sadness, that the former occupant of the highest political office in the land could be so devoid of both sense and sensibility that he could indulge in a daily nonsensical verbal diarrhoea against me, confirming that he has no respect whatsoever for the noble values in life, ie truth, justice and honour. Before the 14th general election, he indulged in lies, falsehoods and fake news as alleging that when Pakatan Harapan captures power, I will edge out Dr Mahathir Mohamad to be the prime minister of Malaysia, that DAP has a Christian agenda to replace Islam with Christianity as the official religion of the country (when I am not even a Christian) and that the Malay monarchical system will be abolished and Malaysia become a republic. This is the sixth month of the Pakatan Harapan government in Putrajaya, and none of these great lies has come to pass – and they will not come to pass under any Harapan government in the future. Now, after Umno/BN's surprising defeat, where he was toppled as Malaysia's sixth prime minister – although he had expected to win big and even recapture parliamentary two-thirds majority with gerrymandering of parliamentary constituencies, undemocratic practices and repressive rule – Najib is resorting to comparatively smaller lies against Harapan and DAP leaders. Najib is guilty of telling lies almost every day. His latest lie was his allegation yesterday that when he agreed to the reopening of mysterious deaths, namely that of Altantunya Shaarribuu, Kevin Morais, Hussain Najadi, Teoh Beng Hock, among others, “it was Kit Siang who had then said there was no need for the cases to be probed again”. Two days ago, Najib asked why I chose now to say “Najib did not kill Teoh Beng Hock, but the Najib administration must be held responsible for Beng Hock’s death”. 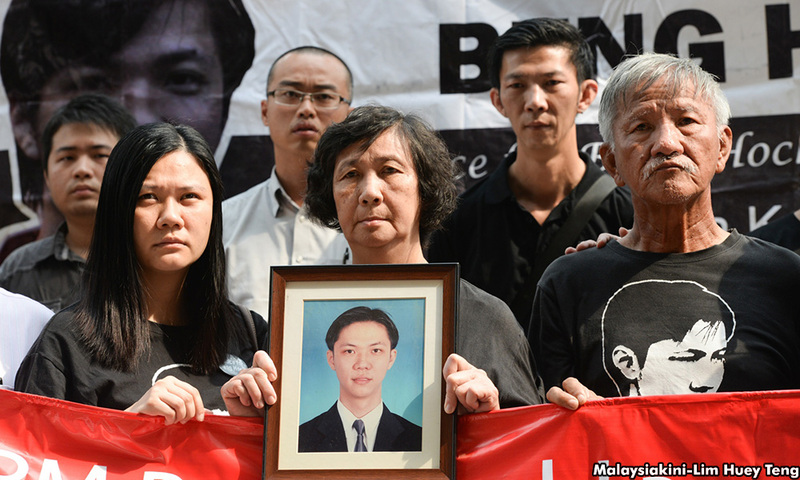 He even wanted the present Harapan government to be held responsible for Beng Hock’s death, falling from the 14th floor of the MACC premises in Selangor in Shah Alam in July 2009. Three days ago, Najib alleged that I had claimed that Kevin Morais' murder was connected to 1MDB, when I had never made such an allegation. No Najib, I am not suffering from amnesia, as it is you who is suffering from hallucination. I am giving Najib's former ministers 48 hours to declare which of them support Najib's claim that in my statement of Nov 26, 2015, I had said that Morais' murder was connected to 1MDB! If after 48 hours, no Najib minister is prepared to side with Najib, then it is clear evidence that his former ministers have completely abandoned him. 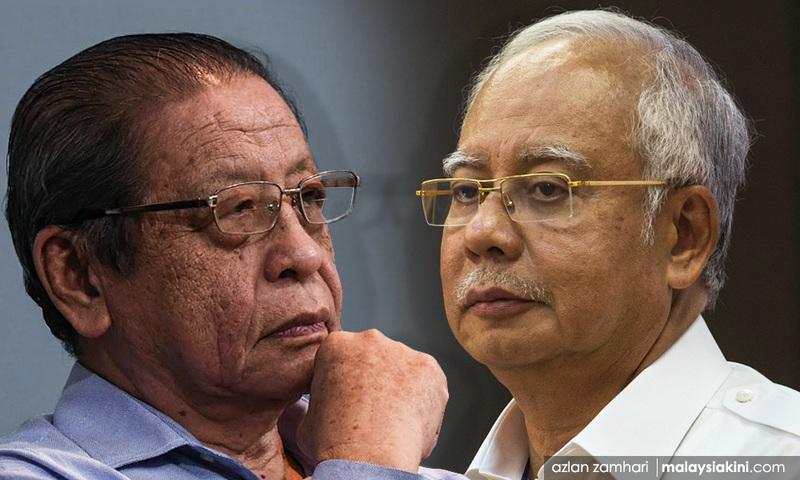 The ding-dong polemical battle between Najib and myself in the past few days had only highlighted our great political difference, that Najib dedicated his 42 years of his political life to make Malaysia a global kleptocracy, while I dedicated 53 years of my political life to create a New Malaysia. I do not believe Malaysians want to go back to a global kleptocracy. It is most shocking that in Najib’s nine-year tenure as the sixth prime minister of Malaysia, he had never shown any compunction or remorse whatsoever in transforming Malaysia into a global kleptocracy with his international 1MDB corruption and money-laundering scandal and other 1MDB-like scandals.